The EL2042 digital output terminal connects the binary 24 V control signals, electrically isolated, with the actuators. Two channels are available and indicate their signal state via LEDs. 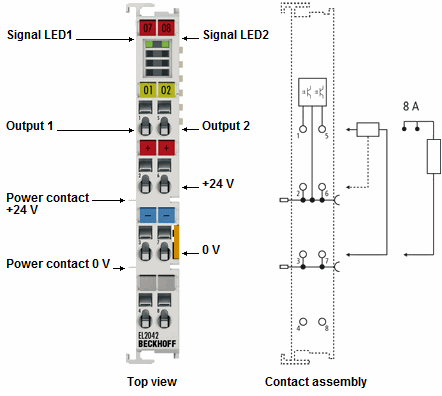 The EL2042 enables connection of loads with current consumption up to 8 A if the outputs are connected in parallel.